Learn more about our General Cleaning Service. Every business deals with pests sooner or later. Pests are unsightly, unsanitary, and difficult to eliminate once they’ve taken over. 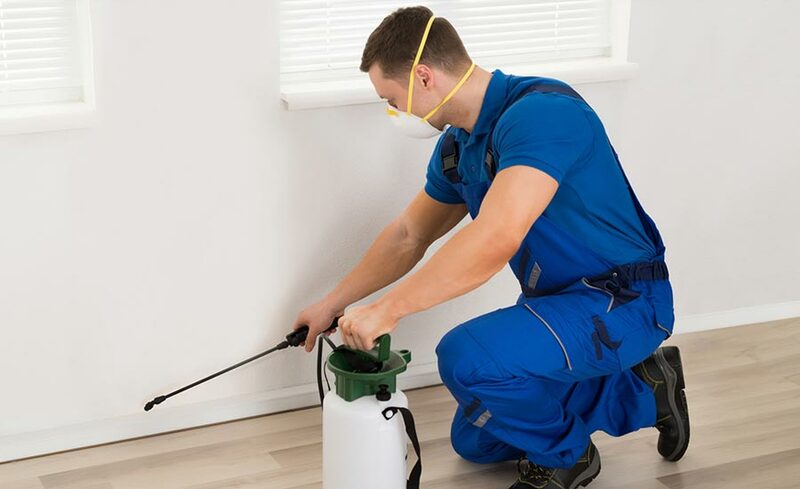 It’s important to take steps to prevent pests from becoming an overwhelming problem, and the best way to do this is through professional pest control services. Whether you want to avoid pests from entering or you need to eradicate an existing pest problem, we can help. Learn more about our Pest Control Service. The outside of your business is the first thing your customers see when they arrive, and as such, this area has a significant impact on their first impressions of your business. Jani-King can provide full landscape and garden maintenance services, keeping your exterior looking neat and manicured and your customers coming back. Learn more about our Ground Maintenance Service. Learn more about our Waste Management Service. Your car park says a lot about your business itself. If your car park is shabby, dirty, or contains litter or other debris, customers may form the impression that your company is unprofessional or does not pay close enough attention to detail. Keeping this area clean and neat has a positive impact on the way customers view your brand. Learn more about our Car Park Cleaning Service. You may not spend much time thinking about your building’s exterior, but it’s a highly visible aspect of your business and one that could have the power to attract customers or turn them away. Keeping the glass, brick, marble, or other surfaces on the outside of your building looking polished and clean makes your business appear professional and desirable to potential clients. Learn more about our High Façade Cleaning Service. Graffiti is an ongoing problem for many businesses. Removing it quickly is essential to maintaining your professional image and doing your part to benefit the community. Learn more about our Graffiti Management Service. All types of lighting systems need maintenance, and repairs are a fact of life sooner or later. The last thing you want customers to see is flickering or damaged lighting, which is highly distracting and sends the wrong message. Don’t let damaged interior or exterior lighting spoil your image or the customer experience you work hard to create. Learn more about our Lighting Repairs or Replacement Service. Clean roofs and gutters not only look nice, but they also control the flow of water around the outside of your building, preventing the damage that can occur when water and debris are allowed to accumulate. The overflow of water from clogged gutters can collect around the foundation of your building and cause damage to the foundation; water backed up in the gutters can also damage the fascia or even create roof leaks that could damage your building’s interior. Protect your building and keep it looking its best by selecting roof and gutter cleaning services through Jani-King. Learn more about our Roof and Gutter Service. Jani-King makes all these services available to all our commercial clients. If you were to solicit these services through separate companies, you would have several different points of contact, several different schedules to keep up with, and several different invoices to pay. Jani-King makes your busy life much more comfortable by providing all the services you need in one place, with one point of contact. Manage your account easily with just one invoice, no matter how many services you select, simply fill in the form found here to get started! We believe in making things as easy as possible for our valued customers – and that’s just one more way Jani-King is more than a Commercial Cleaning Company.